Worlds collide. That’s the way it feels growing up on our planet with the remarkable amount of information flowing at us from all corners. We progress from insulated youth to an onslaught of news about people and situations so removed from our daily lives. We seek connections to these individuals as we search their faces on our screens. Then we move to an almost inoculated resistance to all responsibility after being informed of connections that feel attenuated. The fine line between carrying the weight of the world and denying all responsibility is constantly re-calibrated as we move through life and develop new responsibilities closer to home. But it is that first shock of recognition that can determine a lifetime with eyes open or closed. The truth is that in our art-saturated world, many of our first impressions of situations far from home are interpreted through the viewpoints of artists of all stripes. Apartheid was the cause of the day that brought everyone together when I was just raising my head and peering out from home. Other causes mattered, but abolishing this heinous system was a clear goal that broached no argument. Read a little history if you want the details on how that played out. Here, I want to talk about the framing of the discussion by one artist in particular. I’m pretty sure that the first time that I heard about the situation in South Africa, my reaction was, “What? Are you shitting me?” Living in a country with a long and difficult history with race relations, it raised too many specters to even know where to begin. But emotionally, this was a complex problem that also needed expression at a more fundamental level. 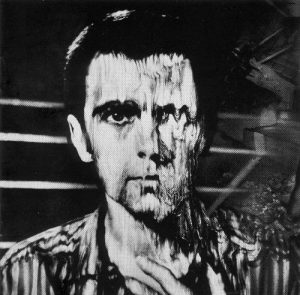 For me, Peter Gabriel captured the anger and shock in a story that personalized the tragedy. This was a song about a writer and activist whom the regime had killed. Gabriel created a monument to life and the value of the fight against that which would crush us all. Don’t get me wrong. There is a discussion to be had about the place of art in allowing us to forgive ourselves our turning away, especially by adding additional layers of distance between us and the people that suffer around the world. Yet, there is a need to process our experience of that pain (also a luxury granted to those not having the experience firsthand) which is a result of our modern world. Our world has become so large and so fraught that sometimes we do need great art to help us stand strong and keep our eyes open, our brains working and our hearts feeling. You’ve Got to Check This Out is a blog series about music, words, and all sorts of artistic matters. It started with an explanation. 104 more to go.